Dhantrayodashi which is also known as Dhanteras ('Dhan' literally means wealth and 'Tera' comes from the date 13th (trayodashi in Sanskrit and Teras in Hindi)) is the first day of five days long Diwali festivities. 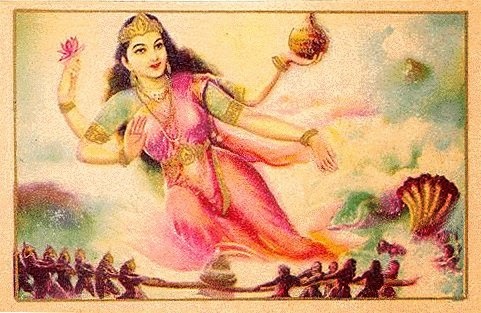 Goddess Laxmi during the churning of the mikly sea. On the day of Dhantrayodashi, Goddess Lakshmi came out of the ocean during the churning of the Milky Sea. Hence, Goddess Lakshmi, along with Lord Kubera who is the God of wealth, is worshipped on the auspicious day of Trayodashi. Lakshmi Puja on Amavasya after two days of Dhantrayodashi is considered more significant. 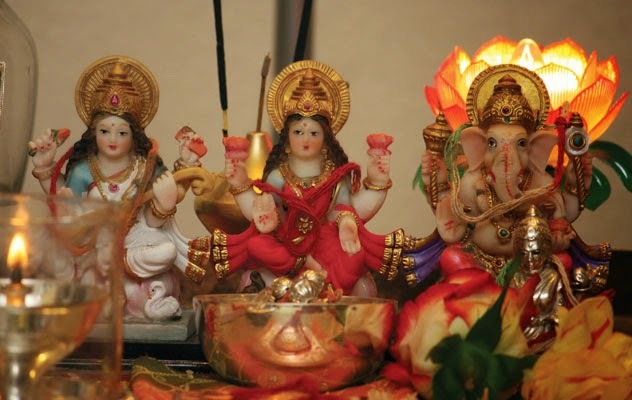 Lakshmi Puja on Dhanteras or Dhantrayodashi should be done during Pradosh Kaal which starts after sunset and approximately lasts for 2 hours and 24 minutes. The best time for Lakshmi Puja on Dhanteras is during Pradosh Kaal when Sthir Lagna prevails. Sthir means fixed i.e. not moveable. If Dhanteras Puja is done during Sthir Lagna, Lakshmiji will stay in your home; hence this time is the best for Dhanteras Pujan. 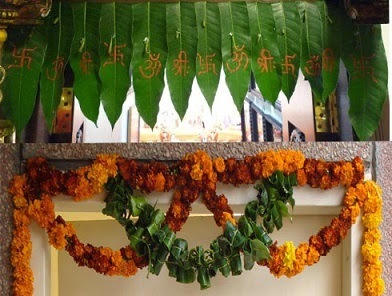 Vrishabha Lagna is considered as Sthir and mostly overlaps with Pradosh Kaal during Diwali festivity. The day of Dhanteras is also observed as Dhanwantari Triodasi or Dhanvantri Jayanti, the birth anniversary of the God of Ayurveda. Yamadeep is another ritual on the same Trayodashi Tithi when the lamp for the God of death is lit outside home to ward off any untimely death of any family members. On the day of Dhanteras, business premises are renovated and decorated. Alpana or Rangoli designs are drawn on entrances including the goddess lakshmi footprints to mark the arrival of Lakshmi. In the evening, the lamp is lit and Dhan-Lakshmi is welcomed into the house. Aartis or devotional hymns are sung eulogizing Goddess Lakshmi and sweets and fruits are offered to her. 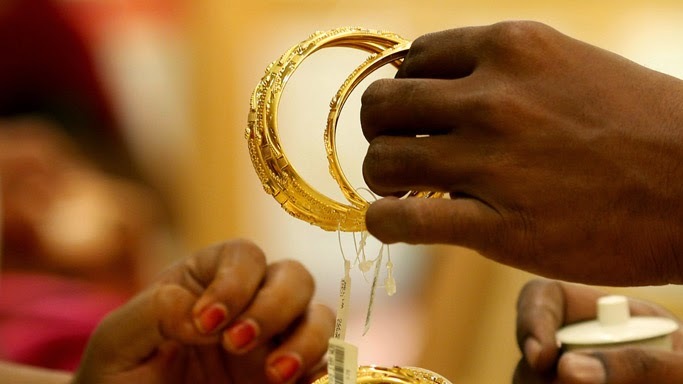 People flock to the jewellers and buy gold or silver jewellery or utensils to venerate the occasion of Dhanteras. Many wear new clothes and wear jewellery as they light the first lamp of Diwali. 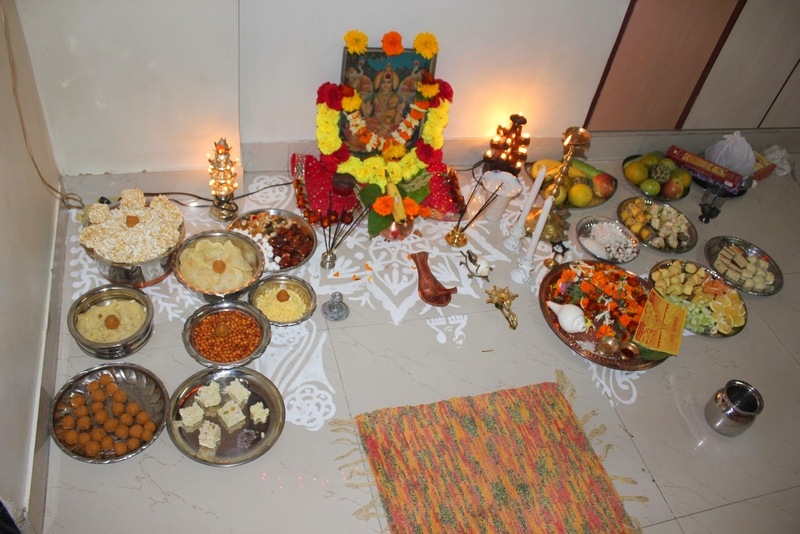 Chopda Puja also known as Muhurat Puja during Diwali is performed mainly in western parts of India. Diwali is the last day of financial year in traditional Hindu business and Chopda Pujan is performed on the day on the new account books. This puja is basically performed by the Hindu business community in Gujarat, Rajashtan and Maharashtra. All account books are kept for puja on the day and blessing is sought from Goddess Lakshmi and Ganesha. In the new account books, people write Subh Labh and draw the sign of Swastik. 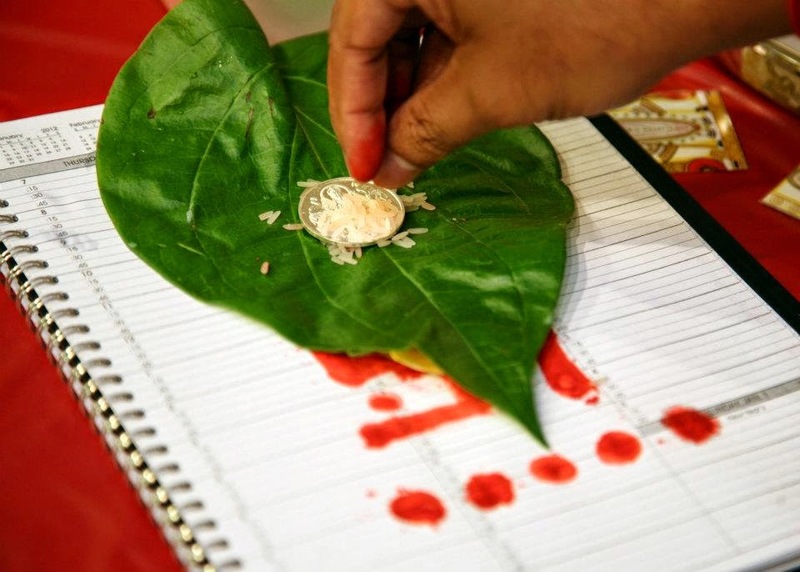 In some regions, Chopda Puja is also performed along with Kuber Puja. Yes... People believe buying Gold, Silver, Utesil or pen is auspicious in Dhanteras day. Prefer to buy the product in evening. Dhanteras is the starting of the diwali, a light Festival. The Diwali night we do Lakshmi puja who brings Wealth, Joy and peace in our family. Though we got tensed when we don't see the prist not coming for puja although the solution is there if you have Cycle lakshmi Puja Pack which have everything from Puja vidhi to the Puja Mantra. So Lets enjoy the Diwali with Fire creackers and Lighting candle. Happy Diwali and Dhanteras to all.